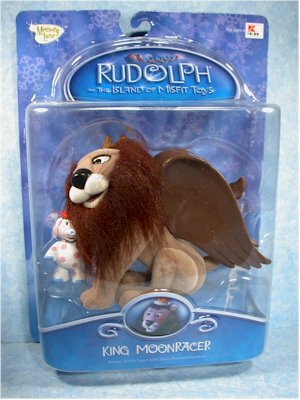 As part of this year's Rudolph the Red Nosed Reindeer (Island of Misfit Toys) release, there's a new deluxe figure - King MoonRacer. 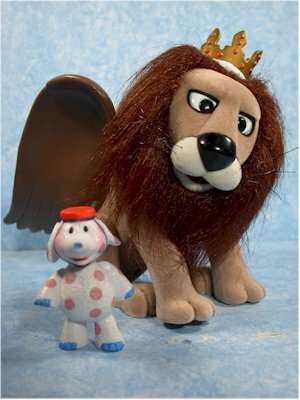 The big lion was head honcho on the Island of Misfit Toys, leader of the pack. The larger size made him an ideal candidate for a 'deluxe' figure, similar to last year's smaller Bumble. The first stores to receive these has been K-marts, but you can also find them now at Kohl's, where they are currently 25% off. Considering that King MoonRacer was only $9 at Kohl's to begin with (as compared to $10 at other retailers), it's a terrific deal. 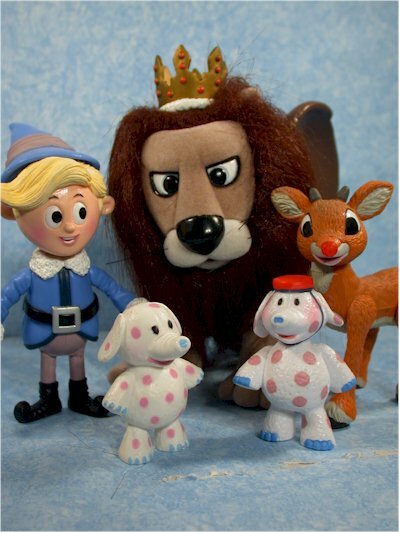 Playing Mantis has a number of other releases in this line still coming out, including the Cornelius with his dog sled team, and Santa with his reindeer team. The latter will be a Toys R Us exclusive. The carded packaging isn't quite as nice as the boxed three packs, but you can see the figure well, and it has nice graphics, particularly on the back where you can see other items in the line. It's not collector friendly, and a figure as heavy as da King puts a lot of strain on the bubble over time. But in general the packaging is acceptable. Playing Mantis has done a superb job with the entire Island of Misfit Toys line, and this is no exception. This figure IS right out of the source material. The face sculpt is nicely done, with a perfect expression. 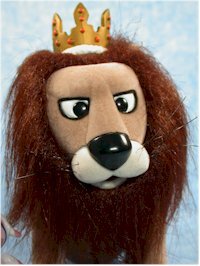 The body and face of the figre is covered in a soft fuzz, while the mane is thick and long. The wings are a little light on detail, although that's not far off from the show. The crown is a good sculpt, and is removable. Overall, King MoonRacer fits perfectly in with the rest of the line. The paint ops are pretty simple here, but very, very clean. 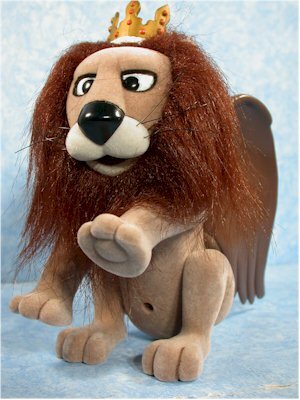 The eyes and nose are smooth and neat, and the wing color is consistent and even. The articulation is fairly basic, but works fine. Moonie has joints at the top of all four legs, the neck and at the bottom of both wings. The leg joints work nicely, and actually allow you to position him in many more poses than you'd imagine at first. The neck joint, while simple, has a good range of motion, but the wing joints are slightly disappointing. There's very little range of motion, and they don't serve much purpose. There's only one accessory, the misfit Polka Dot Elephant. This time he's wearing his bell boy hat, and is a slightly different sculpt overall than the previous version. He's really just a basic PVC figure, but he's nicely done. I'm scoring this figure at ten bucks, which is more than you should have to pay. Head on over to Kohl's now, and you should be able to find him for under $7, and that would boost this score quite a bit. I picked on Playing Mantis quite a bit over the Peanuts line, but it's only because I know they can do this kind of work. They've done a fantastic job with the entire Island of Misfit Toys line, and I'm on the hunt for my Yukon Cornelius with the Sled Dog Team. Kohl's. There must be one right down the street!